...Photographic Ramblings...: Flash Fridays are Here! So here we are, my first Flash Friday for the next while and I almost don't know where to begin. I'd kindly remind you all that this is my first little journey to understanding flash, and am still learning, so would love to hear what the rest of you struggle with or tips on using Speedlights in general. Anything I might miss is simply because... well, I haven't learned it yet! The first thing I struggled with right from the start was the term "Sync speed" and how regularly I heard it being flung about in conversation. Inevitably someone would use the term as they began talking about their first foray into using a flash, but without explaining what they meant by it. And so from the word go, I'd already be lost as the conversation or demonstration continued. Except, here's the thing about the term "Sync Speed" and why it applies to you using your flash. You ready? All it is, is a reference to the fastest your camera's shutter can go while allowing the light from your flash to fully enter the camera's sensor for a shot. Why had no one explained this to me? Where was I when they were handing out the Sync Speed 101 brochures? I've discovered that mine for the D80 is 1/200th of a second. If I dial in a shutter speed any faster than that my camera ceases to record all of the light projected from the flash, because the curtains that move across the sensor when you press the shutter are going too fast for there to be any one moment when the whole sensor is exposed to light. Sheesh. Can anyone say "underexposed" and "weird banding across the frame"? That's what you'll get. 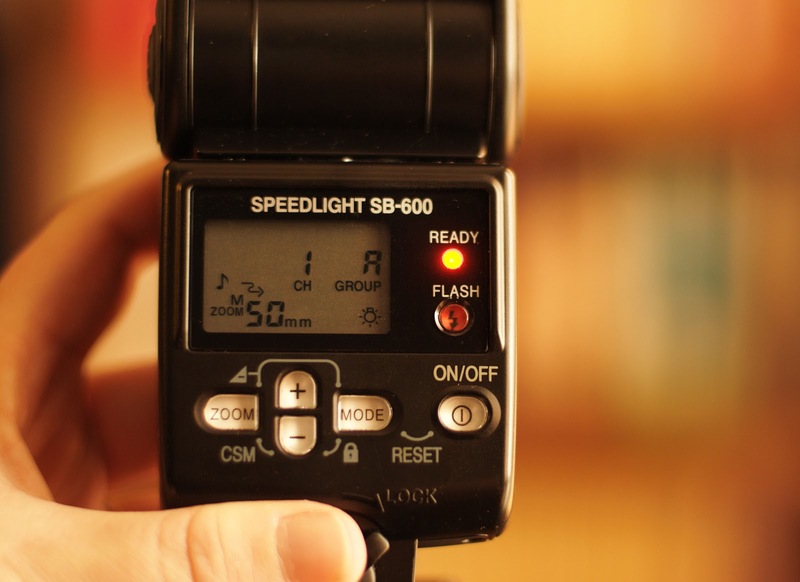 So if you're shooting in manual, make sure you are paying attention to your sync speed... the speed at which your shutter AND flash work in tandem. As an aside, my Nikon actually won't let me go past 1/200 on the dial when my flash is turned on. That should have been my first clue that it was already at it's optimum sync speed. And obviously, depending on what you're shooting, you need a fast enough shutter speed to ensure there's no motion blur if doing portraits, candids, or using your flash as fill outdoors in harsh sun. 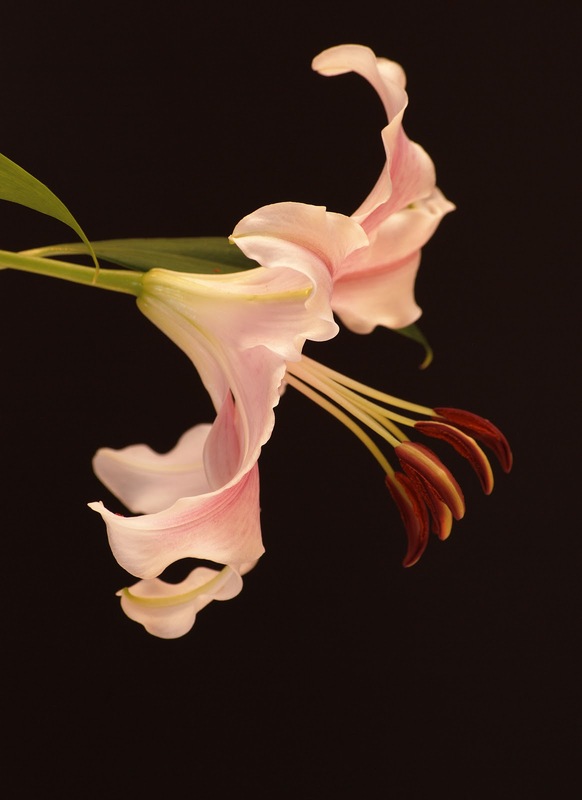 But as you're about to see, you can shoot well below your optimum sync speed (yours may be 1/250 or 1/150... check in your camera's manual pronto if you don't know it) if your subject isn't going anywhere, like with the Lilly photograph below. This photo was taken with the flash OFF camera about a foot from the flower, since I was just using the flash with a small diffuser attached to it (which we'll get to in an upcoming post) and manually made sure it was on full power and could be triggered by my tiny on-camera flash (dialed down all the way to 1/128 sec.) in Nikon's Commander mode in the Custom Setting Menu and under "Built-In Flash". I chose my aperture for the shot before I dialed anything else in, knowing I wanted a decent depth of field for the petals and stamens. Then I chose my shutter speed after some playing and adjusting and deciding I needed to allow some available light that was already hitting the flower from above to be included in the shot as well as the flash to light any areas that had too many shadows. In the end, my exposure for this one was 1/25th of a sec. @ F/14, ISO100, 150mm focal length (such a slow lens at that aperture in low light situations hence the slow shutter speed regardless of the flash) with the camera on the tripod, and I was very happy with the light. It was a simple set up but you start small and move on from there as you learn right? Flash is such a broad topic, so rest assured that I'll be blogging about the distance of your flash in relation to your subject, diffusers, reflected and bounced light, soft boxes, set-up, gels, remote triggering, and portrait and outdoor use... and a whole lot more as I learn a little something more each week. Play with your flash in relation to various light and exposures this week... and thanks for the ramble! I have found my Speedlite to be useful as a prop! At a recent event I needed to be with the press photographers (because they had privileged access). Stewards were policing the event but with a kitbag over my shoulder and a Speedlite bolted onto my Canon (with a fairly substantial lens) I gambled on being taken for press - it worked. I didn't use flash for the photos - just the subterfuge! That's brilliant Alan, lol... I haven't ever been a huge flash fan in the past, but it's been fun realizing it does have it's uses sometimes! Thanks for the comment, have an awesome week!